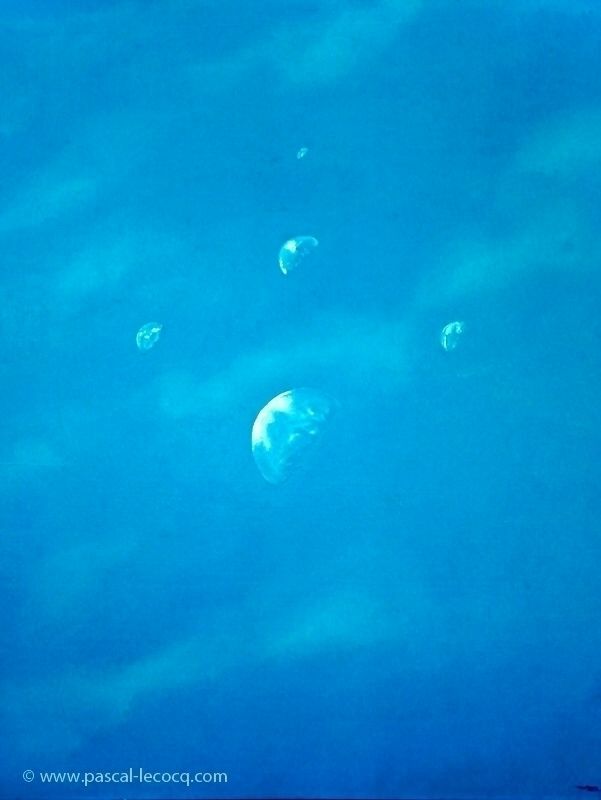 CONJONCTION - Oil on canvas by Pascal, The Painter of Blue ®, 100x 81 cm, 39 x 32 inches © 1980, lec047. 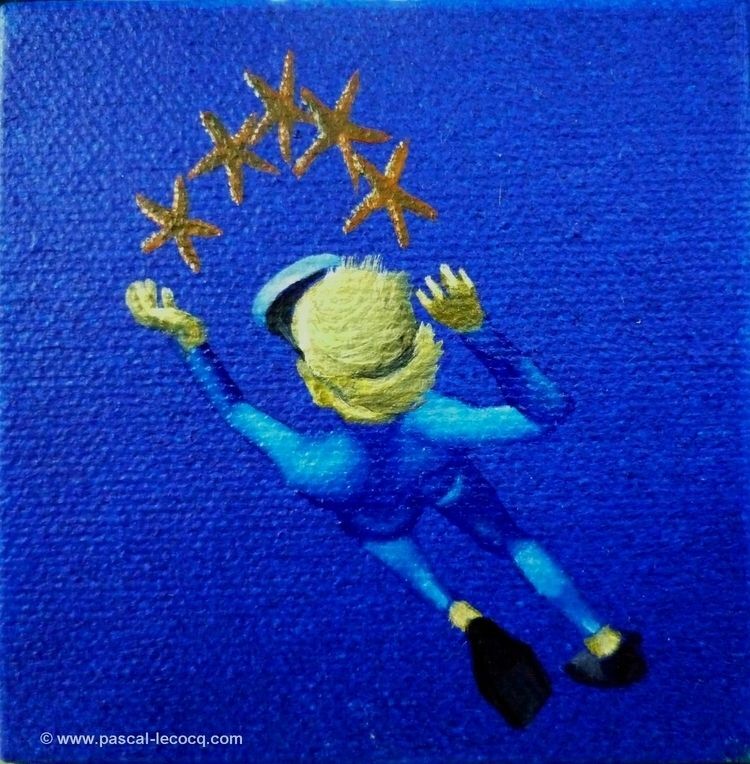 Available, © pascal lecocq. 1973-1977 Student of Mrs. Yvonne Bouisset-Mignon, Art school Ecole Comairas (Foundation Taylor), Fontainebleau, France, while in high school. Since 1986 Author of hundred articles and conferences on painting and on opera, particularly on the technique of Ancient Masters and on Anatomy. Regular contributor to art magazines Techniques des Arts and Artistes et Techniques (1986-1990) and author of several collective books about the technique of painting. 1986-1996 Set designs and costumes designs for European Opera Houses including the complete Ring and Parsifal by Richard Wagner. 29 productions. 2003 Moved to Fort Lauderdale, Florida, USA. 2015 Board director Broward Art Guild, Florida. 2016 Set and Costumes designs, The magic Flute, Opéra de Nice. I always have my head in the clouds, and painting permits me to create an imaginary universe between outer space and the depth of the oceans: a refuge to which I can escape the contemporary reality. In turn, I offer my viewers the ability to join me. I believe the traditional oil painting is the best way to share my thoughts and for the last 35 years, I have strived to bring it to perfection, as I want the viewer to focus on the subject and not the medium. I stack the layers of meaning (aesthetic, political, ecological, symbolic and allegorical) in an endless construction set (alliterations of words, shapes, numbers or letters) always using the Golden Ratio. Not to confuse the issue or by intellectual arrogance, but on the contrary, to reach a greater majority of people able to understand the message. The transposition of reality into an underwater world generates some humor, but hides more meanings. In addition, there’s my willing to share some knowledge and to build a better word. I want keen viewers to create their own story from my paintings or to seek its occult meaning. Therein, by way of an intellectual game, it’s not a direct message that I send, but a more covert or subtle one. 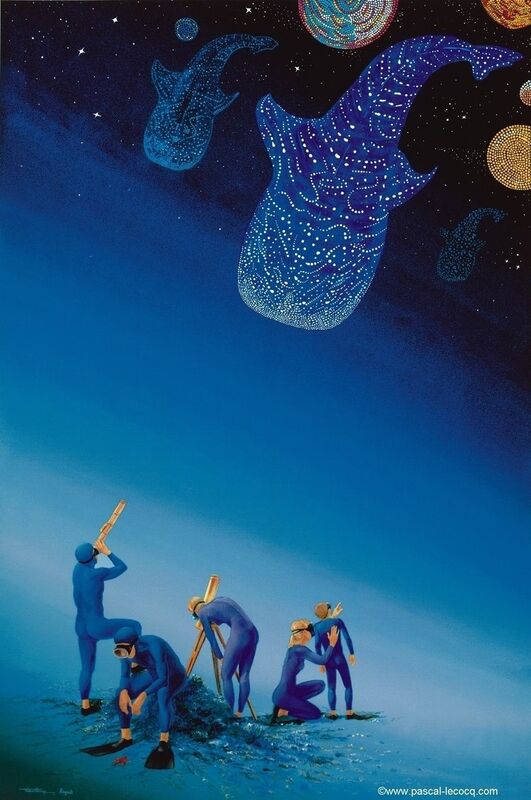 I’m a Surrealist – a painter of imagination, but I won’t be surprised to be considered part of the Figuration Narrative. However, nobody has yet cracked my Code, which will let the viewer regard me as a Conceptual artist. In order to do that, more than just considering the influences of Salvador Dali, The Mystic Lamb by Jan Van Eyck, Vermeer, The Isle of the Dead by Böcklin, one should think about the influence of writings of Georges Perec or movies by Peter Greenaway.